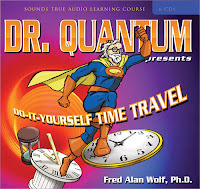 The Spiritual Dimension Of Time Travel - Fred Alan Wolf ! 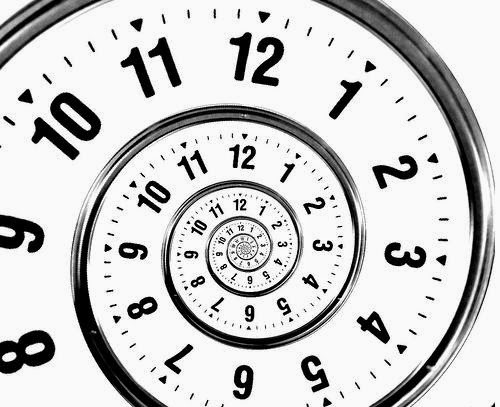 In this talk titled 'Spiritual Dimension Of Time Travel' presented by the Theosophical Society in America in Chicago, Fred Alan Wolf, PhD discusses spirituality and the concept of self from his unique perspective as a physicist, explains some of the fundamental premises of quantum theory including the observer effect, and how the concepts of time and mind are reconcilable and can, in fact, have the same meaning. Fred Alan Wolf quotes Buddha's teaching of a realm which he describes as unborn, unoriginated, uncreated ... unformed ... Fred says his purpose is to understand what this means and bring to us the same understanding the best possible way he can ... Fred says ... besides calling this knowledge 'The Yoga Of Time Travel' he would call it the Physics of Shiva, The God Of Time ! Fred Alan Wolf is a physicist, writer, and lecturer who earned his Ph.D. in theoretical physics at UCLA in 1963. He continues to write, lecture throughout the world, and conduct research on the relationship of quantum physics to consciousness. Dr. Wolf has taught at the University of London, the University of Paris, the Hahn-Meitner Institute for Nuclear Physics in Berlin, The Hebrew University of Jerusalem, and San Diego State University in the United States. Aka "Dr. Quantum," he is a member of the Martin Luther King, Jr. Collegium of Scholars and the author of eleven books, including the National Book Award-winning "Taking the Quantum Leap." 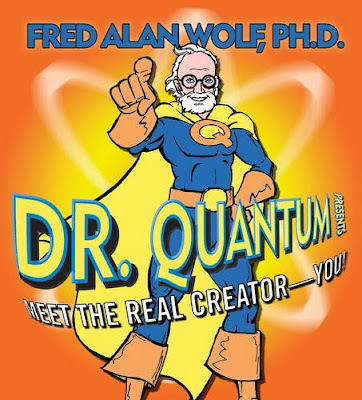 Wolf's work in quantum physics and consciousness is well known through his popular and scientific writing, and his radio talk show, television and film appearances across the United States and abroad. “I’m sure mine only works one way,” Alice remarked. Most of us assume, as Alice does, that whatever we can remember has already taken place. If asked why we don’t remember scenes from our future, we might answer: “Because, dummy, they haven’t happened yet!” But as the Queen in Lewis Carroll’s delightful book suggests, perhaps we do have memories of the future, however nonsensical that may sound. Consider the albeit radical possibility that the Queen is right: memory does work both ways. That is, you are perfectly able to remember the future just as well as you can recall the past. Further, consider that having a two-way memory could lead, as the Queen suggests, to distinct advantages. For example, it might help you deal with synchronicities and experiences of déjà vu, avoid health problems, make significant predictions about your life, and offer many other benefits, as may become clear as this book unfolds. In the chapters ahead, we will look at space and time with new eyes, taking into consideration how both relativity (the science of the very large) and quantum mechanics (the science of the very small) have completely altered what we mean by time and space. We’ll look farther into physical time and space and learn why they are considered manifestations of one thing rather than separate categories. We will also explore the notion of sacred time. We will see how time, mind, and spirit have a surprising relation with each other. And we will learn how a mind yoga for time travel springs forth from this relationship, offering surprising benefits and accessible to us all.